This week, Washington Redskins tight end and former Terrapin Vernon Davis took to the Players' Tribune to address the team directly about subjects that simply transcend the game itself. 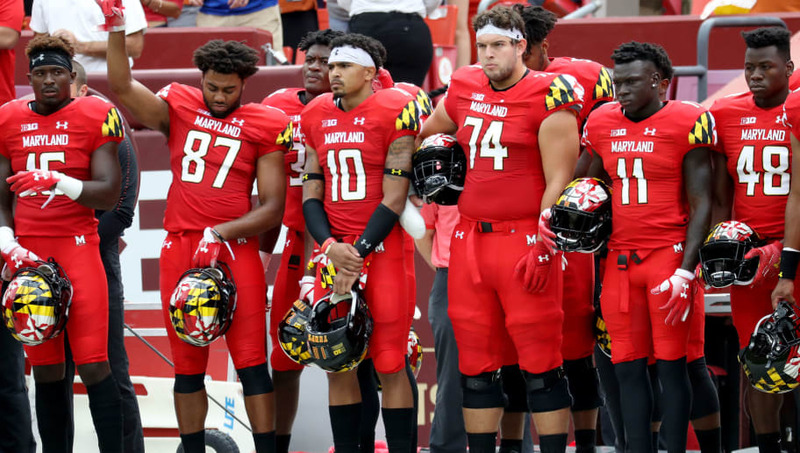 Davis' message was both heartfelt and moving, addressing both the death of the player and ​Maryland's desire to succeed in his honor. Davis spoke of being proud of the team, and of McNair being proud, too. "We see you. We’re proud of you. And … we believe in you. So just keep doing the best you can. Stay together. Play the game with love. And always, no matter what, keep Jordan in your heart. Because I’m pretty sure he’s proud of you, too." ​Jordan McNair's death was stunning and saddening for a team that entered the preseason full of hope. It is never easy to face a death of someone so young and talented, especially under such harsh conditions. Everyone becomes emotionally distressed, but as Davis said, it pulls teams together to make both themselves and their lost one proud. Maryland is 2-1 at this point and has all the motivation in the world to play with heart. Keep making him proud, Terps.